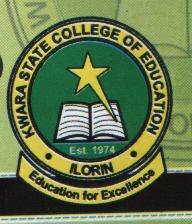 Kwara State University, #KWASU notice to all the 2018/2019 academic session newly admitted candidates. This is to inform all the newly admitted KWASU Students for the 2018/2019 academic session that, it is mandatory for all those who use awaiting results/those who are yet to upload their results on JAMB website, they are strongly advised to go back and login to their respective portal to upload their results without any further delay on or before Wednesday, 28th November, 2018. Failure to do so may lead to inability to print admission letter on JAMB central admission processing system (CAPS) and the admission is deemed forfeited.